Many of us look forward to retirement. After a lifetime of hard work, we are able to kick our feet up, unwind, and enjoy the fruits of our labors. Some realize that when they attain senior citizen status that they also need to move. It could be that it's because they do not need the room in their Houston house with their children grown-up and moved elsewhere, perhaps it is because they're now living on a limited income, or maybe it's because they want to finally plant roots in that sultry climate that they always dreamt about. Whatever your reason for moving after you attain retiree status, it's imperative to give the task some deliberate examination. A big advantage of being a senior citizen is that you are no longer constrained to the same schedule limitations as people who need to work. You want to go to the grocery on a Thursday afternoon? Go for it, you are in charge of your schedule. Want to take in a movie matinee while everyone else has to work? Enjoy the feature! And if you choose to move, then you could do so in the off-season, when both demand and costs at their lowest. Summer is the busiest time for moving for several good reasons (warm weather, children are out of school, etc. ), and as a result is is also the most expensive time to move. A few months one way or the other can save you lots of money. The more years you live in your house, the more stuff you accumulate. Everything, from clothes you haven't worn in years, to papers from a job you barely recall, fills in the cracks in your home. So, before your move, start paring down. A good guideline is to ask yourself if you've used something in the last several years. If you haven't, you likely don't need it. So, sell it, gift it, give it away to whoever will take it off your hands, but if you don't need it, don't move it. 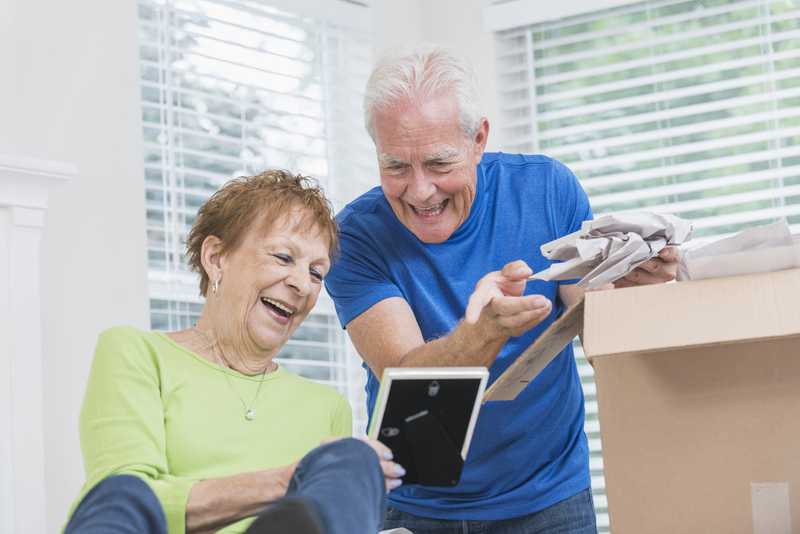 Moving is something that requires planning, not on the spur of the moment, especially if you are a retiree. You have to take your time, do your research, and ensure you have everything shipshape. You need to know your destination, how you are planning on getting there, if you will hire a professional Houston mover, your timeline, and last but not least, you need to have the expenses figured out down to the nickel. And, just to be prudent, you should have several alternative strategies in place, just in case something changes, or doesn't work the way you want or need it to. Planning is when you get your goals down on paper; preparation is when you start warming up. When you're preparing for a move, you’re whittleing down your belongings, retaining money for the moving costs, deciding when to put your house up for sale, etc. Preparation is key. Moving shouldn’t be done hurriedly. Decisions need to be weighed carefully, and you should have all the facts on-hand before drawing conclusions. Beyond that, you should give yourself time to prepare and resolve any loose ends that remain before you pull stakes and head off toward your destination. There's no need to rush, so go at a clip you're comfortable with. Ready to get started? A-1 Freeman Moving Group in Houston can expertly guide you every step of the way. Click below to get started.